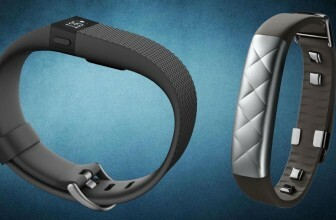 Home » Jawbone » Jawbone UP2 review : Fitness tracking. Reinvented with style. The Jawbone UP2 is the middle child in the company’s new range of fitness trackers, yet will no doubt appeal to the majority of buyers. Sitting between the company’s flagship Jawbone UP3, with its bevy of bio-sensors, and the budget Jawbone UP Move, it’s a direct replacement for the ubiquitous Jawbone UP24 – which has now been put out to pasture. It’s a feature set that’s now standard in a crowded market – but is Jawbone’s new offering worthy of your cash? We put it through its paces to find out. 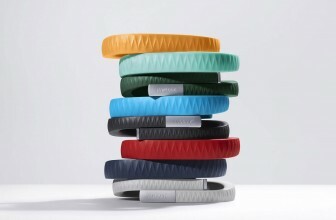 The Yves Behar designed Jawbone UP24 was one of our favourite looking activity bands – with its huge range of vibrant colours and slim design. Its successor comes in just two colours – a flashy silver which is a little too faux jewellery like for our tastes, and black, which looks a little more male friendly. We’d personally plump for that one, though it’s a question of taste. The unit itself has a textured effect on top and a rubber band, which we found dirtied and discoloured easily – another reason to plump for black. The strap features an odd clasp that served to constantly irritate us, and we can’t fathom Jawbone’s reason for using it. The clasp hooks into a corresponding spot on the strap, and which continually slid out of place, so it was very hard to get a permanently comfortable fit. What’s more, snagging the device on clothes was enough to dislodge it. It was also immensely frustrating to hook up. If you’re a wearable designer reading this, take our tip: if you can’t do up the strap in the dark, go back to the drawing board. In terms of features – there are three. 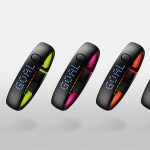 First is daily activity mode, which keeps tabs on your steps, calories burned and any bursts of activity. The second is sleep mode, which records your slumber time and quality – and the third is a stopwatch, which you set manually when you’re going to head out for exercise. The sleep mode also has a smart alarm feature, which wakes you up in the lighter part of your sleep pattern for brighter mornings. There are no physical buttons or a screen on the UP2 – although you can switch between modes by tapping on top of the unit. However, unlike rivals, there’s no display to show you how close to your goal you are. For that, you will need to refer to the all-new Jawbone UP on your smartphone, which is currently available for iOS and Android. While the Jawbone UP2 isn’t waterproof, which puts it behind the Misfit Shine for swimmers – it is splash-proof, so should survive washing the dishes. Overall, it’s a complete range of basic features, which stops short of heart rate sensing. It means the picture of your health will be less accurate, but for those looking to ensure they’re getting enough sleep and exercise, it’s more than adequate. And what’s more, unlike the advanced sensors on the Jawbone UP3, these seem to actually work. As a step tracker, the Jawbone UP2 is extremely accurate. It was in line with the Fitbit Charge HR and Apple Watch that we tested again, without any crazy differences. As it relies on an accelerometer to guess your steps, it’s never going to be spot on, but these devices are designed to be general guides to your activity levels, and we have no problem with the results. As you go through the day, the Jawbone UP2 will also keep tabs on your active and total calorie burn, the time spent active, time spent idle and distance travelled in the day. It’s an extremely potent set of data, and as good as any tracker on the market. Another nice touch is that any burst of activity can be tagged with a number of exercises, from hiking to Zumba. While as a sports device the Jawbone can’t touch any device with heart rate tracking and GPS – it means that you can build up a more complete record of your fitness, with suitably arbitrary guesses of your calorie burn. The only complaint we have is the quality of active minutes recorded. After an hour of walking the Jawbone UP2 only registered a few minutes of ‘active’ time within the app, which we could then tag. That’s where the stopwatch feature comes in. When you know you’re about to embark on a physical activity you start the stopwatch, which will record you activity session. This is a great idea – but suffers two downsides: first, you have to go into the app to start a session, which is annoying. Secondly, if you stop exercising, the session will stop. We tried this on a four hour hike, and the band stopped recording the session when we sat down for a sandwich and a drink. It would be much better if you started and stopped sessions from the band itself. The sleep tracking also worked well – which is a rare phrase to grace the pages of Wareable. Deep sleep did tend to be a lot lower on average than other trackers we’ve used, but maybe we slept badly. We’ll never know. What we can say is that sleep was always recorded at the correct length, and momentary waking periods were always registered accurately, which is more than can be said for many of its rivals. When you wake up, you can a decent graph of your sleep, showing light, deep and wakeful cycles, and the overall results are far more in depth than the Fitbit Charge, which suffers a woeful lack of detail. There is a downside however: you have to activate sleep mode manually when you get into bed which feels a little archaic. However, a nice touch is that should you forget, the UP app will nudge you to set the wake and sleep times manually the next day, and recover the data in between. We’re sure that Jawbone could have developed the technology to auto-detect sleep if it really wanted, but the upside is you’ll never miss a night. Overall, the Jawbone UP2 is a highly competent fitness tracker, which will suit part time fitness fans. Runners and cyclists will want for more detail, but those who want to hit their daily step goals and take fitness classes will find the Jawbone UP2 suits them well, and is only bettered by the heart-rate monitoring Fitbit Charge HR. The revamped Jawbone UP app, the same one you’ll use with the UP Move and the UP3, is one of the most comprehensive out there. The app layout is really simple and easy to use. The app defaults to your daily stats, with your sleep and setup goals prominently displayed at the top. You can then go back through time using the back and forward buttons, and notifications are displayed underneath. These could be activity bursts, which can be assigned to particular sports, or insights from the Smart Coach. Smart Coach is one of Jawbone’s big innovations with its new app, which is promises will provide innovative insights into your behaviour. It works to a certain extent. Smart Coach will reveal how you compare to your weekly averages, and whether you’re doing well, or slacking off – and we love the added contextual insights. However, while added insights are always welcome, a Coach it is not. An actual coach would recommend workouts, and challenge you to push yourself. Jawbone’s Smart Coach is more of a number cruncher, taking your stats and turning them into percentages. It makes for one of the best fitness tracking apps out there, but there’s still much to be improved. 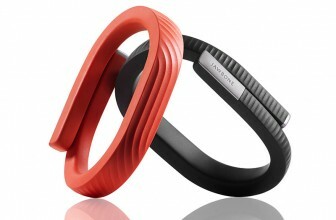 The Jawbone UP2 charges by a proprietary cable that clips magnetically at the back. It then charges by the USB on your laptop or PC. It’s an adequate system, which means you’ll need to carry around the specific charger everywhere, or render your UP2 useless. 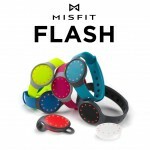 The battery will last an impressive seven days between charges – which outstrips the Fitbit – but does lag way behind the likes of the Misfit Shine, which will last six months between charges. However, someone at Jawbone does need to sit in the naughty corner. The design of the charging cable makes placing into a laptop very difficult. Very silly indeed. While the Jawbone UP2 falls short of the Fitbit Charge HR when it comes to advanced fitness skills, it’s a comfortable, good looking and accurate activity tracker that totally nails the basics. The strong fitness tracking, activity tagging, sleep monitoring and smart alarm make a near dream suite of features. While proper sports fans will look to GPS enabled trackers, and swimmers are better off with the Misfit Shine, the UP2’s a solid bet.